Along with having a quality air purifier, you need to have a reliable air purifier filter to increase energy efficiency and improve the quality of indoor air. 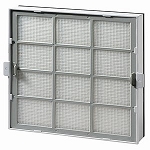 Filters work to clean the air by trapping airborne contaminants such as dust, pollen, and bacteria. Choosing the right filter can help individuals reduce problems with allergies and asthma. Air purifier filters may also help reduce the negative health effects of secondhand smoke and eliminate the unpleasant scent from the home. Ultimately, there are various options to consider when choosing air purifiers. Filters come in various types and have different capabilities. The filter type you choose will allow you to target different sources responsible for dirty indoor air. High-efficiency particle air HEPA filters are among the most popular air purifier filters. HEPA filters can catch very small particles and remove most of the allergens in indoor air. Contaminants trapped by this filter type include mold, lint, and pet dander. A number of air purifiers combine HEPA filters with activated carbon filters. An activated carbon air purifier filter is designed to absorb chemicals particles including unpleasant odors, fumes, and smoke to freshen the air. Pre-filters are also used to trap large particles before they reach the HEPA filter to expand the filters life. Before buying replacement air purifier filters, ensure they are sized to fit the air purifiers. 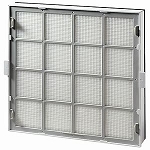 Filters should also be compatible with the brand of air purifier that you own. When looking for a replacement air purifier filter use Water Filters FAST. We carry a varied supply of air purifiers, filters suitable for home or business needs.